The best day of the year is almost upon us! Opening Day is right around the corner and after an exciting but mentally exhausting offseason for Mike Rizzo and the Washington Nationals, the regular season is here! The Nationals made many new additions with the likes of LHP Patrick Corbin, RHP Anibal Sanchez, RPs Tony Sipp, Kyle Barraclough, Trevor Rosenthal, 2B Brian Dozier, Catchers Yan Gomes and Kurt Suzuki, while losing names we at one time or another loved dearly in Tanner Roark and the ever-controversial Bryce Harper. Although we are approaching a new season with a newish-looking team, it’s never a bad idea to reflect on the past, especially when you are looking at things you could as a team improve. So that’s exactly what I did. I looked at the 2018 Washington Nationals and thought to myself in a season where it almost seemed like everything went wrong, what are the most significant areas the team would need to improve. What I found was 3 areas the Nationals really need to become better as players, as a team, as an organization, if they were to make the Postseason in 2019; record in 1-run games, Nationals Park, and winning games in the summer months. 1. Nine of the ten teams to make the playoffs displayed .500 or better records in 1-run games. 2. 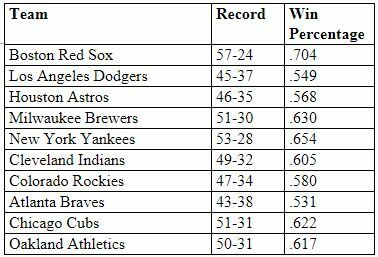 Five of the ten teams displayed a winning percentage of over .600 in 1-run games. 3. The 2018 WS Champs (Boston Red Sox) had the third best winning percentage (.641) in 1-run games. Although 1-run game records are a key factor in making the postseason, they do not always translate to a team’s postseason success. As you can also see above, the Oakland Athletics who had the best winning percentage in 1-run games (.689) ended up losing the New York Yankees in the American League Wild Card play in game. The Atlanta Braves who had the second-best winning percentage in 1-run games (.657) ended up losing in the National League Division Series to the Los Angeles Dodgers. The question now is how can the Nationals improve their records in 1-run games? and the answer lies within more than one area. For me, it all starts with better in game management by Dave Martinez and co. This means utilizing the bullpen better, which all of us can agree upon that was one of managements failures last season. Not using guys too often or too little, not leaving pitchers out there too long or pulling them early, using the wrong guys in the wrong situations. A huge fault lies upon the players too, especially at the plate. The Nationals were the 2nd worst team in baseball when it came to leaving runners on base (7.28 LOB a game). To win these close games, the Nationals will need to do a better job at not leaving runners stranded and situational hitting. If the Nationals can in fact do a better job at getting the men on base to come across the plate to score, the result could very well be playing in less games that are 1-run games and even winning more 1-run games. It’s very easy to see that if the Nationals are to make the playoffs in 2019, their record in these 1-run games will need to improve immensely. It should also be taken with a grain of salt, as it is apparent 1-run records do not mean postseason prosperity. For the vast majority of the 2018 season, the Nationals played sub .500 baseball at Nationals Park. The beginning of the season for the Nationals at home was ugly for us fans. The Nationals went 3-7 in their first 10 games at Nationals Park, in that time they got swept by the Mets and lost 3 of 4 to the Rockies. The Nationals home record was starting to shoot up in the following 10 games at home, as the Nationals ended up going 7-3 to even their home record to 10-10 on May 6th, which included a 4-game sweep of the Pittsburgh Pirates. However, it took until another 31 games, an August 2nd win against the Cincinnati Reds for the Nationals to have a winning record at home to move that record to 26-25. Meaning it took an astonishing 51 games for the Nationals to have a winning record at home. For a team that were pre-season favorites to win the East, taking 51 games to be a winning ball club in your own stadium is extremely poor. The Nationals ended the season going 41-40 at Nationals Park. After looking into how ugly the Nationals record was at Nationals Park, I decided to compare it to the 10 teams that made the playoffs – and well, the results are not very nice. The table above shows that every single team that made the Postseason had a winning percentage of .531 or better at their home parks. The 2018 WS Champion Boston Red Sox played to an astonishing 57-24 record at Fenway Park. It should go without saying, but there is an obvious correlation between a high winning percentage at home, and postseason aspirations. For the Nationals to see their postseason dreams become reality, they are going to have to play to a better winning percentage at Nationals Park. 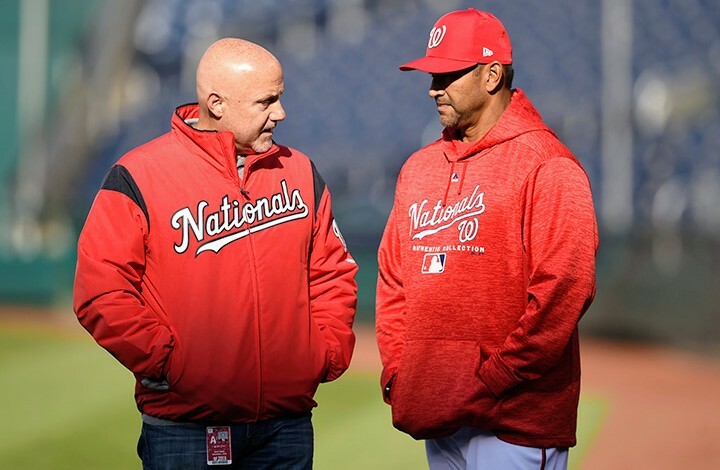 With a rebolstered starting rotation that sees the additions of Patrick Corbin and Anibal Sanchez and the subtractions of Gio Gonzalez and Tanner Roark, GM Mike Rizzo put the Nationals in a great position to do so. Is there anything better than baseball in the summer months of June, July and August? The regular season is in full swing, players are starting to cement their case to be casted as All-Stars, and we begin to get a clearer picture of how the season will pan out. Unfortunately, for the Nationals the summer months of baseball were cold, extremely cold and their record for those months show it. Going into the month of June, the Nationals were sitting at a record of 33-23 after turning around their slow start with a 20-7 record in the month of May. The Nationals were a ballclub that looked like they were again going to challenge for the NLE crown – until everything went downhill. The Nationals would play sub .500 baseball for the next 3 months of the season, and really took themselves out of the race. If we are going to be fair, the Nats were riddled with injuries. Losing key pitchers Stephen Strasburg, Jeremy Hellickson, Sean Doolittle for DL stints. INF/OF Howie Kendrick tore an Achilles and was out for most of the season. The Nationals were so in need of a spark that one could argue that 2B Daniel Murphy was brought back a little too soon from his offseason surgery recovery on June 12th. The Nationals had caught an injury bug. However, baseball isn’t fair. Life isn’t fair. Therefore, I’m not going to be fair. When a team has not only playoff aspirations but playoff expectations, you cannot hide behind injuries as a reason for 3 straight months of poor performances. During those 3 months, here how the postseason teams did, and just to show how poorly the Nationals played in these months, I included how many games back the Nationals were from each teams’ respective records. There is no other way to say it, the Nationals will need to have winning records in these months – injuries or not – if they will want to even think about challenge for a World Series championship this postseason. This means everything will need to be running like a well-oiled machine, much like it was not last year. For this to happen the team will have to have no clubhouse drama (which there appeared to be a lot of that last season) better in-game and roster management, better pitching, better situational hitting, etc. you name it. Dave Martinez said it better than anyone else at the beginning of Spring Training – The Nationals will need to do “the little things” in order to get this ship sailing back into the Postseason, and to win a lot of games, that’s exactly what must be done. As ugly of a 2018 season the Nationals had, on paper it appears Mike Rizzo may have done enough to correct these problems the Nationals had last year. Now its time for Dave Martinez and his staff, as well as the players, to go out and get the job done. If we want to see our beloved Nationals in October, they will have to improve in these three areas. Especially now that we are playing in what could be a division where 4 teams have a viable chance to finish atop of the standings.